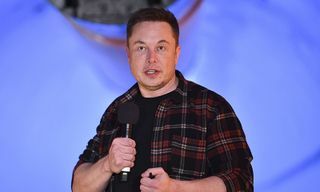 Tesla unveiled a new $200,000 version of its Roadster model on Thursday night that Elon Musk claims will be the fastest production car ever. 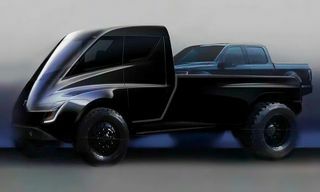 Its unveiling came as a complete surprise since Tesla was initially presenting its new electric 18-wheeler truck before Beastie Boys’ “Sabotage” came on, the lights went out, and the Roadster came shooting out of the back of Tesla’s new truck. 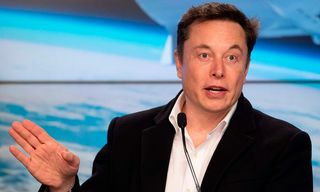 According to Musk, the new Roadster will go from 0-60mph in 1.9 seconds – that’s faster than the average Formula 1 car – with a top speed of around 250mph, putting it in the same bracket as some of the fastest production cars in the world, like the Bugatti Chiron and Koenigsegg Agera. The Tesla Roadster will be able to travel for up to 620 miles between charges and, the best part about it: it’s a convertible. Tesla’s updated Roadster will be available starting 2020 with $50,000 getting you onto the waiting list. 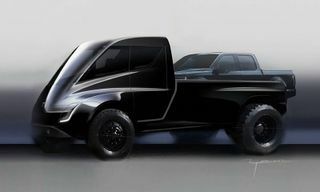 Tesla’s Semi is no slouch either, though, achieving 0-60mph in just 5 seconds without a trailer – this takes diesel trucks around 15 seconds – and climbing a 5 percent grade at a steady 65mph, which is 20mph faster than diesel competitors. 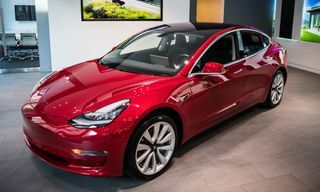 Overall, Tesla promises that its Semi will be more responsive, cover more miles in the same time, and integrate more safely with passenger car traffic than its diesel counterparts by the time it hits roads in 2019. In related news, check out Pope Francis stunting with the holiest Lamborghini Huracán.